"The Beaver Dragon of Quebec"
The term "The Beaver Dragon of Quebec" is something I came up with after looking at how many victories Francois had in Quebec. Like Beaver, many of his victories are not widely - known; and, also like Beaver, he was not always lucky enough to have the best equipment. But, when he did, he made the most of it. We Catamount fans never saw the real Francois Chausse. 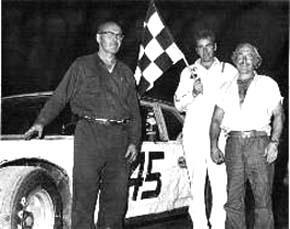 Firstly, the only car I can remember his having to drive at Catamount was the B45, a 1964 Chevelle that was not up to par with the late models at Catamount in that era. 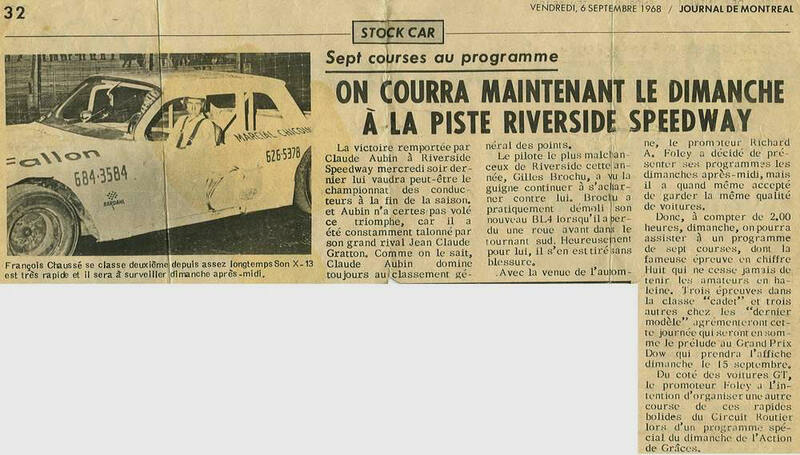 Chausse did drive some quality equipment for the likes of Claude Aubin and others; and he did participate at Martinsville, in the Golden Era of late model sportsman races down there. 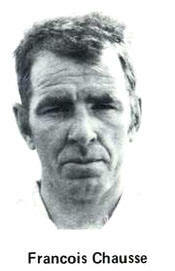 Chausse passed away in 2006, and I was honored to have his son, Andre, call me to personally inform me. God Speed, Francois. You spoke no English but your driving did the talking for you. 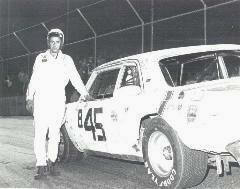 Chausse won a ton of races with this old Chevy. In some pretty impressive company in this Martinsville promo.